Try this simple and tasty mushroom soup recipe with chicken breast fillet and PHILADELPHIA Light Cream Cheese. This soup makes an extraordinary meal! Heat oil in a large saucepan over medium heat. Add leek, mushrooms and garlic. Cook for 5-6 minutes, until tender. Add stock, bring to the boil, reduce heat, add chicken and simmer for 5minutes until chicken is cooked through. Combine Philly* with a little of the soup liquid and mix until smooth. Add to the soup with seasonings and mix through. 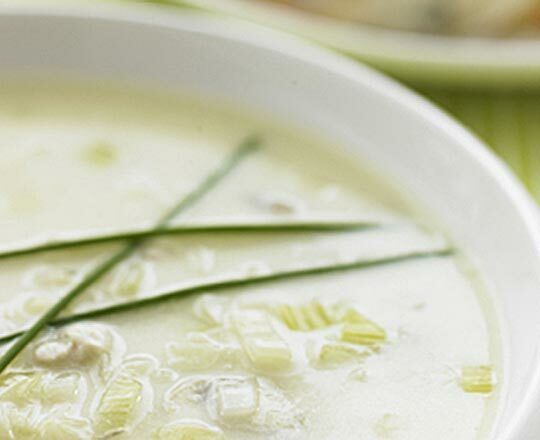 Serve soup sprinkled with chopped chives and crusty bread.